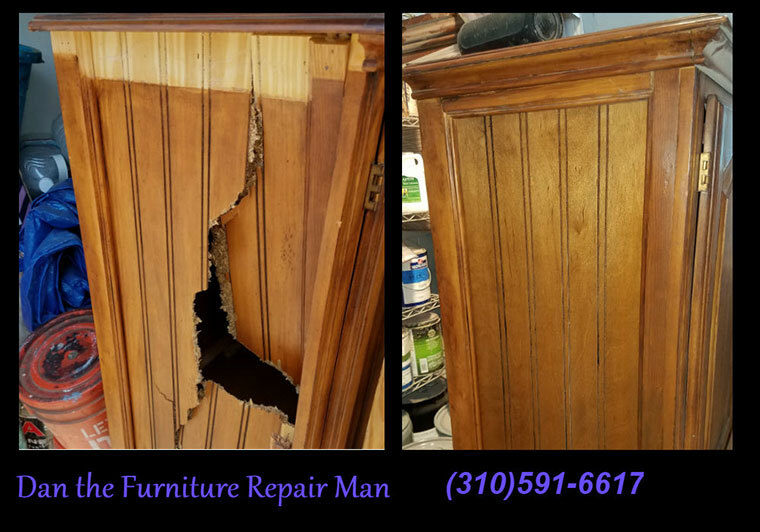 Customer inherited her parents cabinet. It was severely damaged during shipping to Los Angeles. Dan the Furniture Repair Man fabricated and new side panel, stained and varnished to match.